The capital and the largest city of the state of Rajasthan, Jaipur is the first planned city of the country and was built in the eighteenth century by Sawai Jai Singh. In the year1876, the whole city was painted pink by Maharaja Ram Singh to welcome the Prince of Wales and Queen Victoria. Pink denotes the color of hospitality and is inviting. From time onwards, Prince Albert named the city as Pink City. The vibrant city of Rajasthan, Jaipur is a blend of traditional culture and modernization. It is one of the main places to visit in India due to its historic monuments, museums, palaces, shopping places and rich culture. How to reach the city? The city is well-connected to different parts of the country via airways, roadways and railways. The airport lies at a distance of 10 kilometers from the main city. One can always rent a taxi or use a private vehicle to reach the hotel conveniently. One can also take a night bus or take car hire from Delhi to Jaipur, if one stays within 300-500 km from Jaipur. Also, many trains ply between Jaipur and other cities of India. 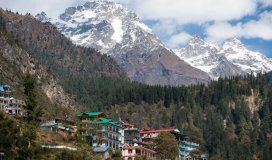 It is highly recommended that travellers should visit the city only during the winters between October and March. During the time, the city enjoys mild winters and one can enjoy sightseeing and shopping. To get around Jaipur without much hassle, you can rent a car. If you are on a budget, then you can go for auto rickshaws and bus services as they are easily available throughout the city. Cycle rickshaws are also common and a good choice only for short distances. 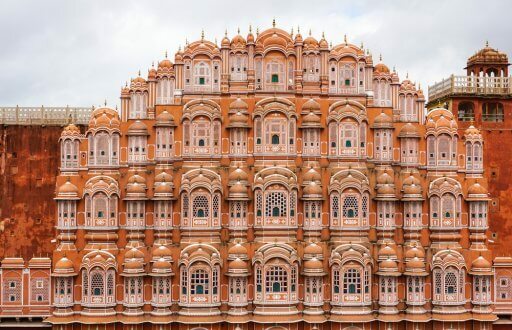 Hawa Mahal was built using red and pink standstone in the year 1799 as a vantage point for the women of the imperial family. It is an example of of the Rajput style architecture. It resembles a fort overlooking the roads of Jaipur. There are a lot of dark shadowed windows present in the Hawa Mahal, high above, from where the ladies could watch the city underneath without being observed themselves. It is one of the most popular tourist places in Jaipur. Today, the structure still stands overlooking the city. It hss a "honeycomb" design, has five stories and has 953 windows. It represents solid yet sensitive Rajput design. At the point when the sun drops down toward the skyline, a little light emission can now and then be seen radiating through the window of the top tier. There is also a museum called Hawa Mahal Museum which is a very enchanting sight exhibiting a collection of terracotta, antiquities, arrow heads, swords, helmets and belongings of the Maharajas celebrating Rajasthan's imperial history. 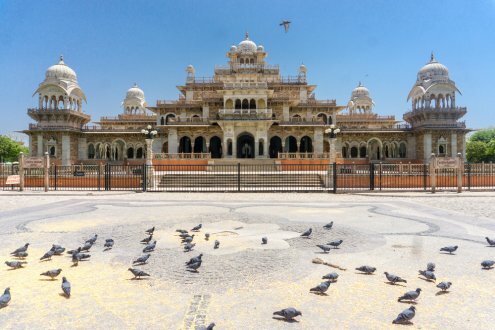 City Palace is the focal point of the city and the core of Jai Singh II's rule. 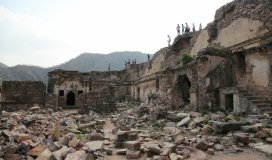 It is located at a close proximity to the Hawa Mahal. 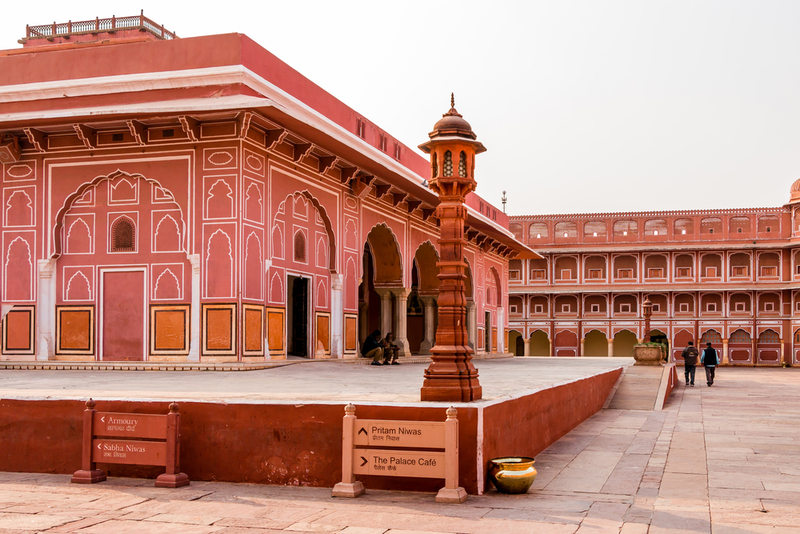 The City Palace incorporates Chandra Mahal and Mubarak Mahal and various other structures. The architect of the palace sets an example of the hard work and the care that workers had put behind. City Palace joins Rajput, Mogul and European styles and is another epitome of the fascinating architecture of Jaipur's regal impacts. Concentric zones to sustain the inward residences of the royal residence, and additionally the period-fitting design, make it a compositional wonder in the heart of the city. Today, some portion of the City Palace is home to the Maharaja Sawai Man Singh II Museum, which exhibits verifiable relics and craftsmanship from the city and the locale. Maharaja Sawai Jai Singh II not just imagined and executed the exceptionally composed city of Jaipur; he was likewise in charge of the improvement of five galactic observatories all through the western part of the country. 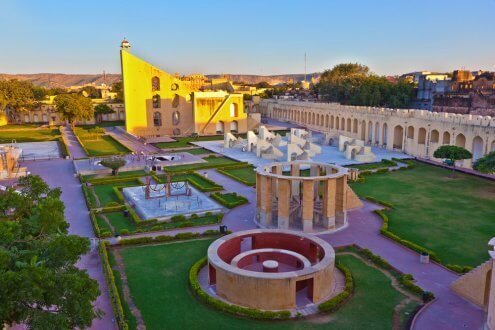 Jantar Mantar is one such observatory situated in the core of Jaipur. The objective of Jantar mantar was to study space and time. Maharaja Sawai Jai Singh had keen interest in astronomy and Indian politics. He wanted to refine the ancient Islamic zij tables and wanted more precision in time calculation. Another aim was cosmology and astronomy calculations. Astronomical data and books related to Europeans, Islamic and Persian civilization helped in building Jantar Mantar. The huge scale of geometric developments are the main attractions of this recorded structure, sticking out autonomously with staircases that prompt no place and in what might give off an impression of being an irregular way. Engineers and designers of the modern day ponder over this structure. 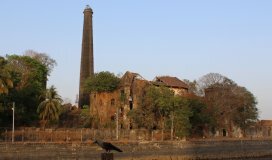 This is a must visit place for the history lovers as a lot can be known about the history of Indian architecture and technology. Among the many places to visit in Jaipur with family, Ishwar Lat is the best place which is located in the Tripoli Bazaar close to the city center and offers the best view of the city. 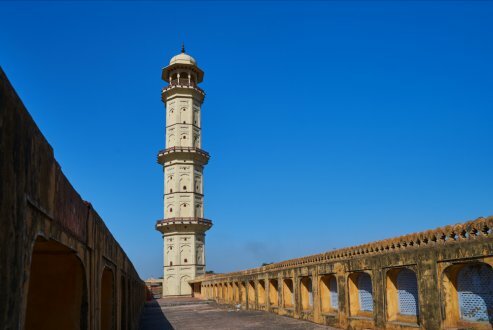 Ishwar Lat was developed by Jai Singh II in 1749 to celebrate an incredible triumph. It is known from the past that he constructed this landmark since it gave him an impeccable vantage point to see the Prime Minister's daughter for whom he had passionate feelings. For tourists, it is nice spot to visit. Albert Hall Museum is situated outside the city wall opposite new gate and is the oldest museum of the state. It is also considered the State museum of Rajasthan. . It is an epitome of Indo-Saracenic architecture. The museum has a collection of artifacts including paintings, sculptures, carpets, ivory, and other such products. It has now become a centre for convening knowledge of Indian history of civilizations. To quench your curiosity about Indian history, do not forget to visit this place during your trip. Located in the foothills of Kukas, this resort offers rejuvenation to its guests with all the modern amenities including, bar, restaurant, pool, etc. Click here for more details about Lohagarh Fort Resort. As the name suggests, the hotel is the right place for the people who want to enjoy a luxurious stay like Rajputs. The hotel is truly an epitome of luxury and located in the heart of the city. There are many points of interest that are easily accessible from the hotel. 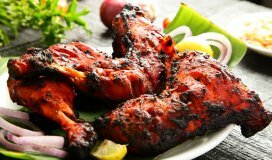 Check ITC Rajputana offers & deals here. 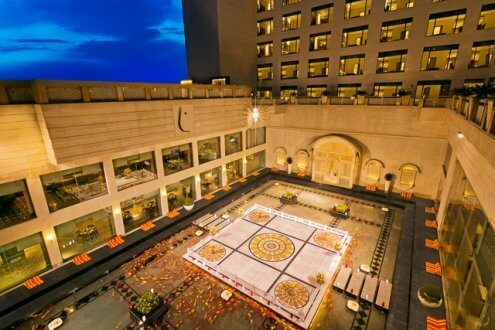 Located near the Jawahar Circle, the hotel represents an exquisite architecture and offers a luxurious stay to the guests. The hotel has earned a distinctive spot among the many and has maintained a perfect balance between the traditional Indian hospitality and modern facilities. Book The Lalit Jaipur today & feel luxurious experience. The hotel is located near Kukas and attracts tourists with its privileged heritage and the luxurious services. It facilities offered here are inspired by the Mughals and the Rajputs. There are many famous attractions located near this hotel. 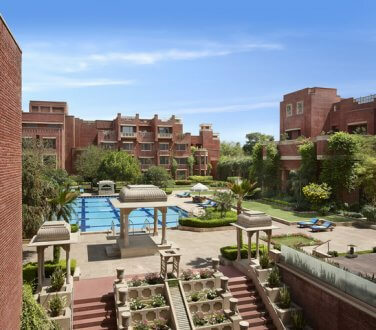 It is also in a close proximity to the Jaipur International Airport and Railways Station.. The heritage place offers a fine experience to their guests that they will remember over the course of time. 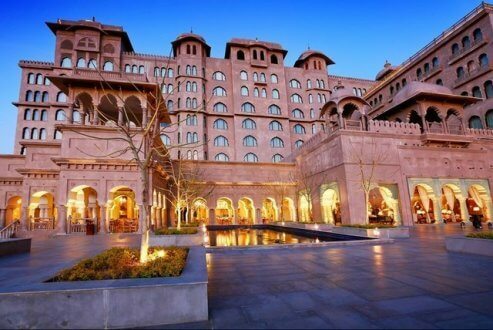 Book Fairmont Jaipur & experience the real culture of Rajasthan. With hundreds of hotels, getting cheap hotels is not be a big deal especially if you book hotels. Whatever is your budget, you are sure to find a comfortable stay in Jaipur Hotels. If you are a travel enthusiast and want to know about the rich Rajputana culture then plan a trip to Jaipur and get one of the most wonderful travel experiences in your life. © 2006– 2019 Cleartrip Pvt. Ltd.